"Organizing for busy people so you can focus on what matters most...."
Do you keep loosing your keys? Are you struggling to find things when you need them? Do you get frustrated with the piles of paper? 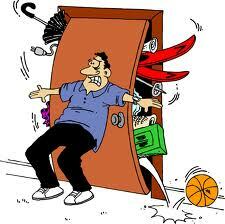 Are you moving/ downsizing and do not know where to begin? Do you find that your "stuff" does not fit your space anymore? Are you selling your home and wondering why it is not selling faster? Do you need help sorting the belongings of a passing loved one? Have recent family or medical changes brought chaos to your home? Are you desiring a peace of mind that comes with an organized life? If you answered Yes to any of these questions, then you need a Professional Organizer. Having an Organizer along side you to assess your needs, space, lifestyle, workstyle and put systems in place, takes the pressure off of you. I can provide a plan and fresh ideas that will help you regain control and peace of mind again.